Ripe sweetness of a soft, aromatic banana enriched with the nuttiness of a hazelnut creates a perfectly balanced yet exciting delicacy for connoisseurs of flavor. A true festival of aromas and flavors. Works great as an after lunch treat or a sweet afternoon snack. Salty liquorice candy with the addition of sweet strawberries and juicy watermelon for some sweet contrast.This is an award winner...no really...Best Candy E-liquid 2016 during the Best E-liquid competition at the 2nd VAPE EXPO POLAND 2016. 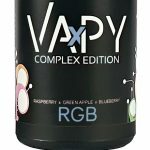 Like in the RGB colour model, Red raspberry, Green apple and Blueberry result in a wonderful effect that tastes incredible & smells great as well. They're all sweet and sour at the same time, which makes this exceptionally delicious & refreshing. Vanilla shake with fresh blueberries, peaches and bananas? Thanks to thousands of trial and error attempts we’ve finally reached perfection and enclosed it in a bottle. This is a truly delicious and Smooth Vanilla Fruity Milk Shake. If every flavour had a colour, this one would be pink - flowery notes of hibiscus and rose flowers dipped in cool, fruit and vanilla milk. Homemade jam with the addition of mint that replaces the typical, jammy stickiness with a cool refreshment. With every cloud of Creamy Twist flows a deliciously warm, breakfast sweetness. 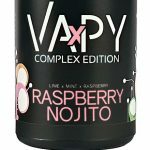 Cool, alcohol-free mojito with juicy raspberries that bring some extra refreshment into the mix. A juicy mix of fresh watermelon and sweet strawberries with some sharp, cool minty notes to top it all off. Your granny's lemonade with a couple leaves of mint. The perfect mix for hot summer days. Tamer of the summer heat - refreshing apple-blackcurrant juice with a dash of freshly squeezed lime juice. A true delight for anise lovers. The redcurrant brings its sweet juiciness, while the addition of fresh mint emphasizes and surrounds the sweetness with an icy breeze.